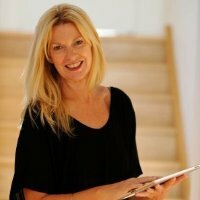 Founder of MediaScope, Denise is well-known and has been actively involved in the advertising, media, and publishing industry in Australia and overseas for 30 years. She started her advertising career as a planner and buyer, then moved to the sales side working with several major publishers. She regularly attends and gets involved with industry conferences and events and is a judge for the Mumbrella, PANPA and ADMA Awards. Every week, The Big Smoke looks at industry news curated by MediaScope. This week, we look at who reigns supreme over the digital ad space, the push toward crowdsourcing automation, and a break-up letter to ad spend. Every week, The Big Smoke looks at industry news curated by MediaScope. This week, we look at the healthiest brand in the world, the ad world at war with itself, and why all advertising philosophies are dead wrong. Every week, The Big Smoke looks at industry news curated by MediaScope. This week we look at the most competitive digital countries, the rise of boutique agencies, and what defines a quality marketing team. Every week, The Big Smoke looks at industry news curated by MediaScope. This week, we look at the problems with TV media buys, why CMOs never last, and the end of the creative department. Every week, The Big Smoke looks at industry news curated by MediaScope. This week we look at the iPhone’s tenth birthday, the tennis-playing AI, and the end of publishing. Every week, The Big Smoke looks at industry news curated by MediaScope. This week, we look at the most influential CMOs and wonder if gender-focused media will ever die. Every week, The Big Smoke looks at industry news curated by MediaScope. This week we gaze at Mary Meeker’s Internet trend report, where the tech giants will stand in the future, and Amazon’s shift into … investigative journalism? Every week, The Big Smoke looks at industry news curated by MediaScope. This week, we look at the age of accountability, the AI awakening, and ponder if it’s time to break up Google. Every week, The Big Smoke looks at industry news curated by MediaScope. This week we look at the website that fights fake news, the survival guide of Bloomberg’s CEO, and the future of VR in advertising.